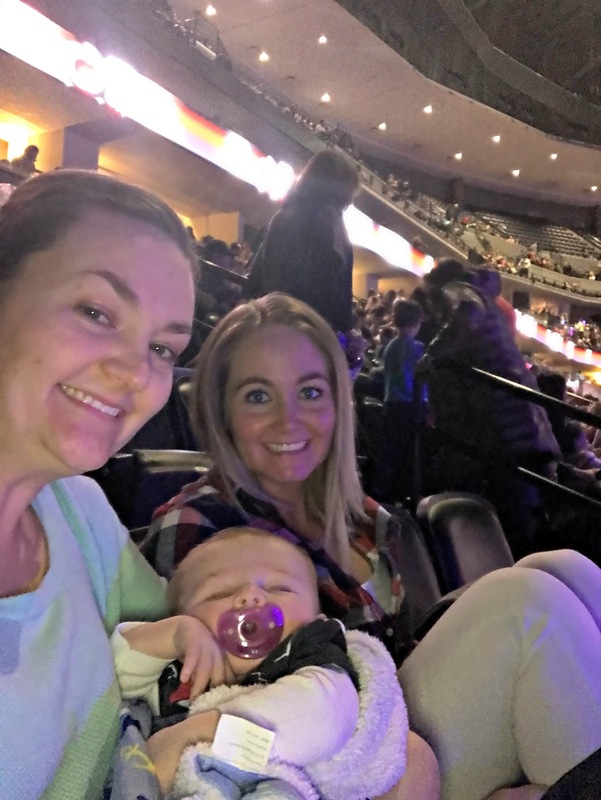 Disclosure: We received free tickets in exchange for our honest review, however we would have attended regardless because this is a family tradition. 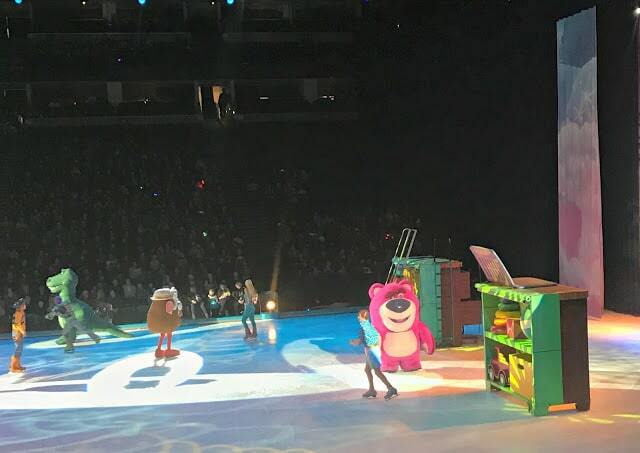 I looked in my kitchen cupboards the other day and memories of every Disney On Ice we have attended came flooding back. I started to lay these out and realized that my mom must have several of our cups hidden away because I could only find 3 of our older cups from the beginning of Disney On Ice. As I have said before we have attended every show that has came through Denver with the exception of just a couple. 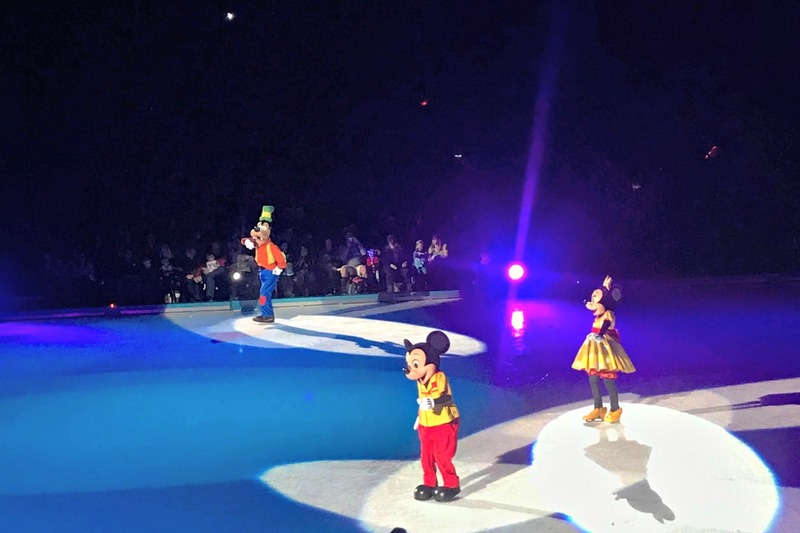 We are huge Disney On Ice fans and our holiday celebrations would not be complete without a trip to the ice show. Growing up our grandma used to take us to the shows and our souvenir as well as our snack was the yummy flavored ice cups! With grandmas passing, my sister and I have carried on the tradition with our own children and our mom. We go to the shows, purchase the cups, dress up and love the time with our family. 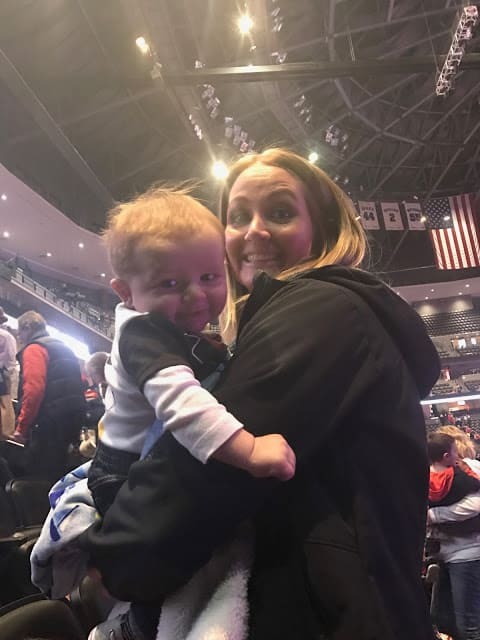 This year we even brought the tiniest member of our family to his first show too! He watched, he slept, he ate and he had a great time! This seasons show was World’s of Enchantment. It was a great combination of some of our favorite shows like Toy Story, The Little Mermaid, Cars and Frozen! However, the kids always go crazy when Mickey and Minnie hit the ice! Toy Story 3 was a newer show portion that I had not seen yet. I loved that they focused on Toy Story 3 (hopefully to prep us for the upcoming Toy Story 4!!! ), and that the costumes and performers were so into what they were doing. 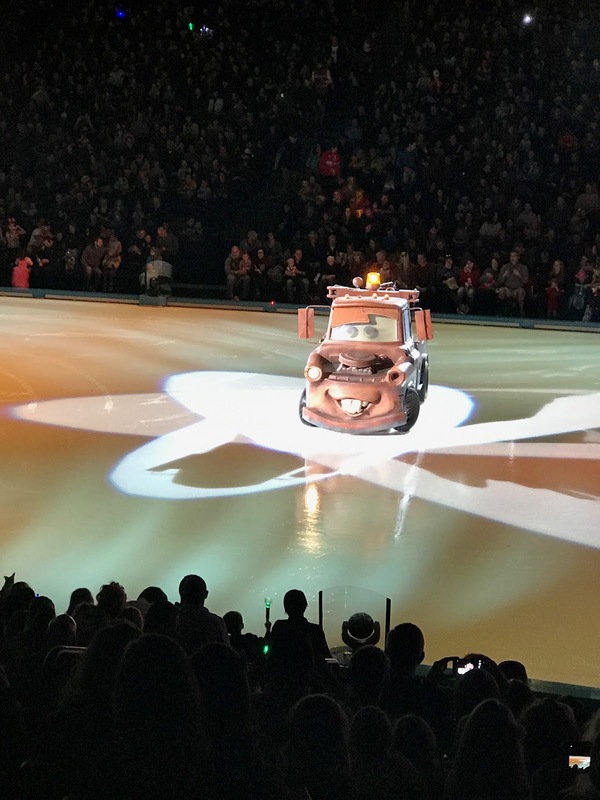 This portion of the show was action packed, fun and my kids were on the edge of their seats as the toys fought for their independence! The Little Mermaid was up next and my little princess and I were all eyes and ears. We were singing and dancing and oohing and ahhing through the amazing performance, lifts and jumps! It was fantastic! 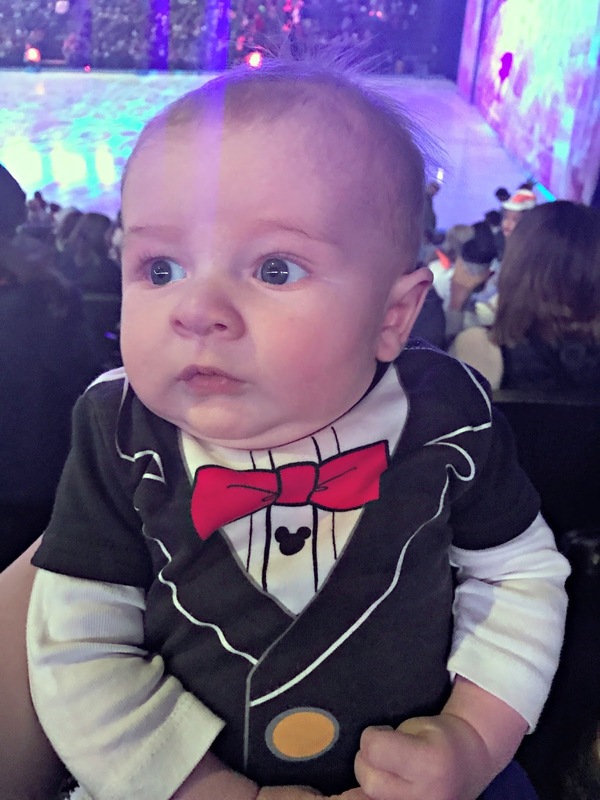 Intermission was just the perfect time to snap a few photos of our favorite little baby and his adorable Mickey Mouse outfit! He was alert most of the time and smiling a lot! Cars was up next and my boy was so excited for this portion. He loved watching the Cars navigate on the ice and interact. I think he wanted this section of the show to take much longer because he is a huge Cars fan. It always amazes me watching the drivers control the cars on the ice as well! 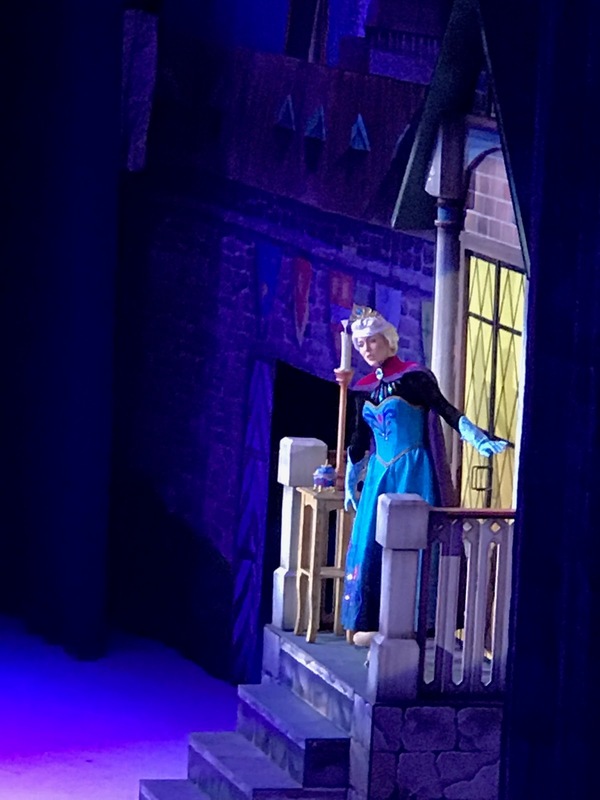 The show ended with Frozen. We had already seen this show in its entirety last year and it was amazing so when Anna and Elsa hit the ice, my little girl was on cloud nine! She stood up and sang and danced through this entire section and truly loved it! Frozen was a fantastic ending to the World’s of Enchantment! When the show ended, everyone was a bit sad, except this guy. He basically laughed and smiled all the way home! Guess the Disney Magic really hit him! 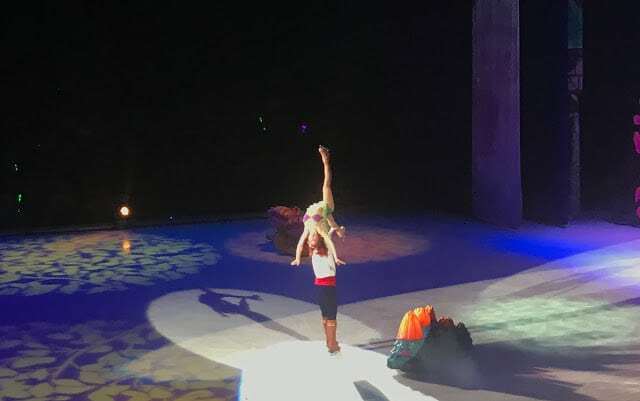 Disney On Ice Worlds of Enchantment is coming to a city near you! Check here for tickets and dates! 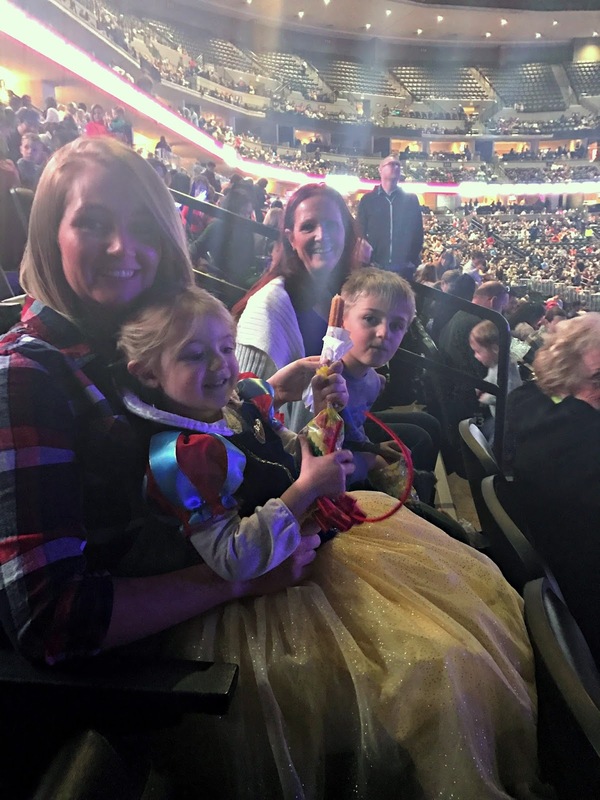 It is a great way to get your Disney fix and enjoy family time together! We will obviously be back for more soon! Previous Post: « Portable North Pole Walk Through!